Circulatory: You can direct oxygen-rich, nutrient-rich blood to all of the muscles and muscle groups in the body, improving blood delivery and waste removal from the targeted areas. Endocrine (Glandular): By elevating the heart rate there is an increase in the quality and quantity of hormones produced by the glands, specifically the 3 master glands in the brain (the pituitary, pineal, and hypothalamus). This will result in increased alertness and clarity, improved mood, and a more positive mental and emotional outlook. Also stimulates the metabolism for optimum weight management. Hepatic (Liver/Gallbladder): The liver is the largest organ in the body. The exercise challenge stimulates the liver to become more efficient and effective as the master chemist, regulating the digestive process, and the blood filtering mechanism, and detoxifying itself of contaminants. Immune: The pumping action created by the extension and contraction of muscles improves the absorption of oxygen and nutrients into the cells of the body, and the elimination of waste products from the cells of the body. These are the 2 MAIN BODY FUNCTIONS. When this happens effectively the strength (immunity to disease) of every cell in the body is enhanced. Lymphatic: The pumping action of the muscles will help to re-circulate lymph fluid to the upper body to be filtered and cleansed through the lymph glands (lymph nodes). 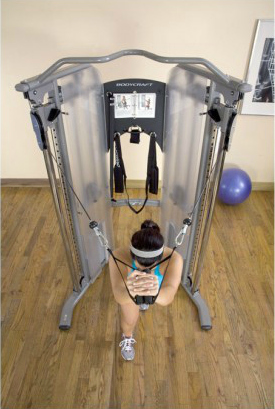 Muscular: A Strength Machine is a great way to to ne and strengthen all of the 400+ skeletal muscles in the body in a safe and balanced manner. Strength of gland and organ smooth muscle tissue is directly related to the strength of the skeletal muscles. Strength training can change the body shape, and improve energy, strength and stamina. It also builds self-discipline and confidence. It’s interesting that the only 2 systems that we have direct control over are the Muscular and the Skeletal Systems. Strengthening our muscles and joints will automatically strengthen the other 10 systems in the body, which is the secret of health and vitality improving our overall fitness potential. Nervous: The exercise challenge releases stored tension and stress in the Nervous System, leaving you relaxed and rejuvenated. Reproductive: The Reproductive System benefits in the same way as the rest of the Glandular System (see Endocrine System above). Respiratory: There are specific exercises that will help expand the rib cage. This will increase the lung capacity, and help detoxify the lungs. Also, specific breathing patterns will allow you to get more oxygen to the muscles. Skeletal: The alignment of the joints in the body is dependent upon the strength and condition of the muscles. Many neck, shoulder, back, hip, knee and ankle concerns could be improved or even prevented by a proper strength training program. Urinary: If the workout is intense enough to cause perspiration the burden is taken off the kidneys, by using the skin as an effective channel of elimination to cleanse the body and make it more alkaline. 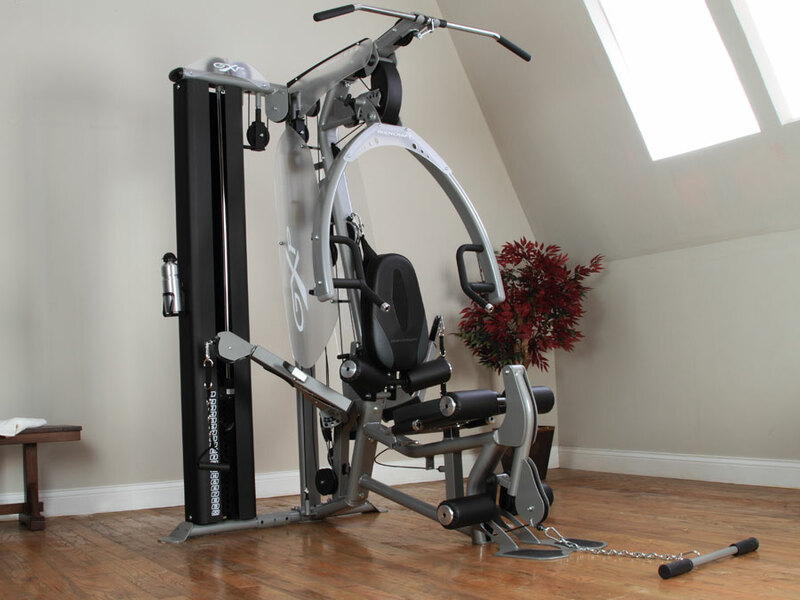 A good quality Strength Machine offers great benefits on a long-term basis, with only a small investment. A $4,000 Strength Machine over a 20 year period is only 56 cents per day. Contact us today and we would consider it a privilege to help you reach your strength and fitness goals.